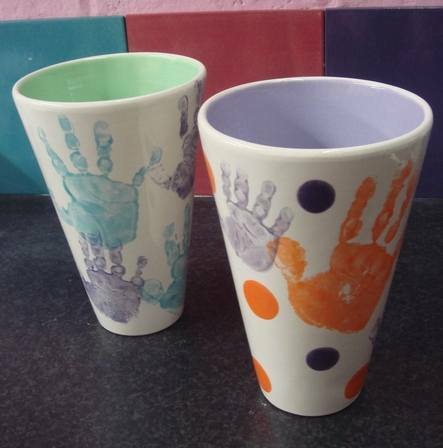 If your little one is too young to paint something themselves why not paint their hands or feet & print them onto pottery! Create a gorgeous keepsake for yourself or as a gift for a grandparent or family member. All of our paints are non toxic & washable so they are safe to use with little ones. 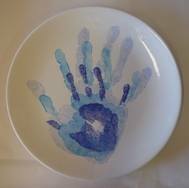 Why not capture the whole family's prints on pottery, a great snapshot in time!